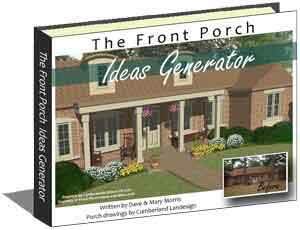 Safety is always a concern with anything and porches are no different. Whether you are building a new porch or renovating an existing one, there are specific things you can do to make sure that your porch is safe for everyone and keep a lot of curb appeal at the same time. Since most accidents happen at home and falls top the list, especially for seniors, be sure that your steps are safe. Installing hand railings should be a top priority. 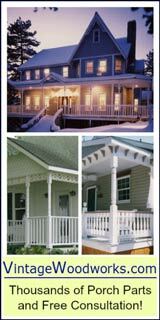 Many small porches have only a few steps and in many locations railings are not required; check your local building codes. However, regardless of code requirements, Mary and I encourage you to add railings if you don't have them. Railings can be very decorative and add to your home's curb appeal. 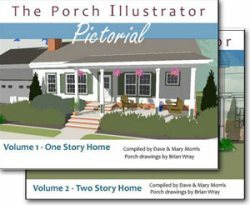 Not only do many porch steps not have railings, but many porches do not either. Your local building codes may not require them but in addition to adding immense curb appeal they also protect your family and visitors. There are a multitude of styles and materials available to maximize your home's curb appeal and satisfy safety requirements. 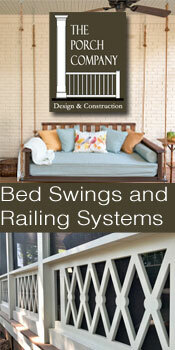 If installed, the balusters (the vertical posts) must not exceed four inch spacing between them. 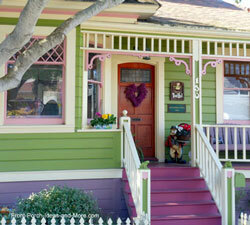 Porch railings (also called balustrades) must extend at least 30 inches from the floor. For safety avoid installing balusters horizontally. This will only encourage small children to use them as a ladder. To help you make sure your railings and balusters are compliant with building codes we've listed the general requirements here. Of course, walkways need to be clear of obstructions, but also check to make sure they have a level surface. Uneven pavement, stones, bricks, concrete, or other materials can cause you or a visitor to trip and fall. Keeping your walkways in good repair not only adds curb appeal but also makes good economic sense as well. If you can, add lighting along the path. You can opt for either low voltage or solar lights. The light should be sufficient to actually light the pathway, not just be decorative to your landscaping. 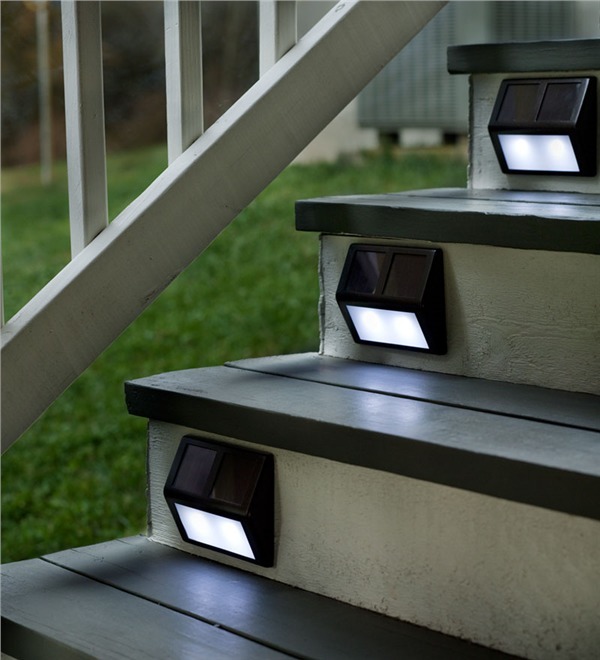 Solar powered lights power on and off automatically depending on the level of light. Low voltage lights usually run on a timer so you can adjust them as daylight hours shorten or lengthen. 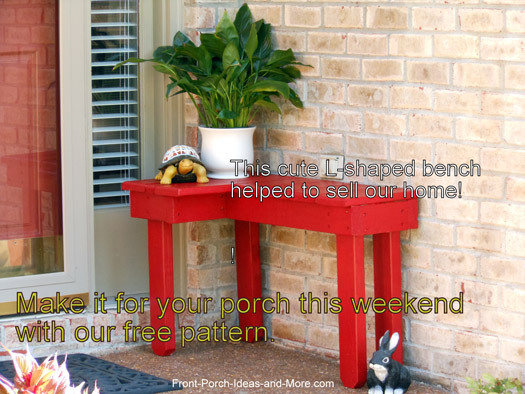 Want to brighten your porch? Updating your lighting fixtures is a great way to spruce up your porch and give it an up-to-date look. When choosing a single fixture (for over your front door) select one with dual bulbs. That way if one burns out you'll still have light. Better yet, two lights, one on either side of your door look great and provide even more light. You may also want to consider adding motion sensors to the lights. This is great for security reasons and ensures you'll have lighting when you leave at noon and return after dark. 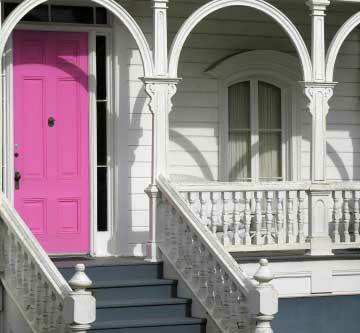 For curb appeal, while you are changing the lighting, think about changing the door hardware to match the lights. Don't forget the doorbell; most really need to be replaced and it's an easy do it yourself project! Ever try to open a locked door and you are holding packages? Adding a simple shelf or bench beside the front door can help everyone in the family. Or, consider placing a small shelf unit beside the door. This especially helps seniors but is handy for Moms, Dads and everyone. Dave designed this little red bench for the small porch on our former home. The couple who purchased our home liked it so much that they wrote this bench into the sales contract. 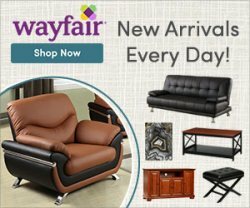 Get our free bench pattern. 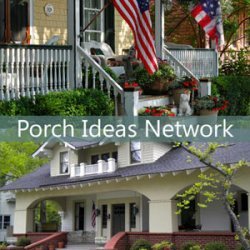 These are just a few of things you can do to improve your porch's safety and simultaneously add lots of curb appeal and value to your home. 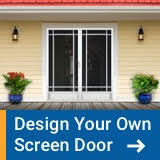 Making your porch, steps, and walkways safe is just good common sense and in the end, makes your porch much more enjoyable. Ensure your porch furniture is in good repair. Pay close attention to swings, gliders,and rockers that by their nature incur additional stress. Just like in your home, cut down on clutter. Ensure traffic patterns are clear of obstructions. 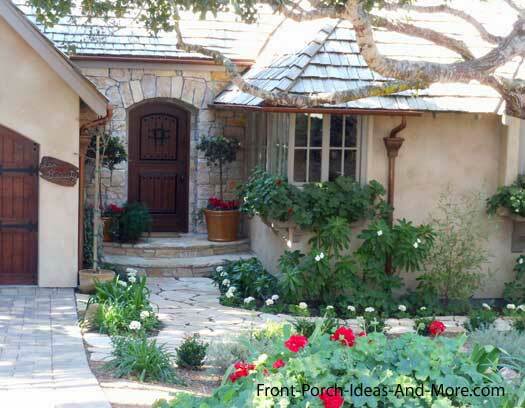 Like any structure, porches have wear and tear. 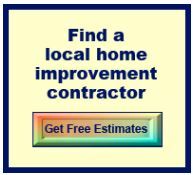 Ensure floor boards are fastened securely, railings are sturdy, and hand rails are smooth.